(Santa Ana, California) – Professional Coin Grading Service (PCGS) today revealed additional steps it is taking to improve its ability to detect altered coins. PCGS announced that it has a process in development which will detect any foreign substance on a coin’s surface, and also announced a major lawsuit filed against alleged coin doctors. According to PCGS officials, in conjunction with the development of coin recognition technology launched in March of this year, PCGS has been developing a process to detect foreign materials and other enhancements to a coin’s surfaces. Using energy dispersive X-ray spectrometry (EDX), Fournier Transform Infra-Red Spectral analysis (FT-IR), Raman Spectroscopy and other similar analytical techniques, this detection process (code-named by PCGS, the PCGS Coin SnifferT) will analyze the surfaces of a coin in a matter of seconds to detect foreign substances and provide quantitative information about the coin. 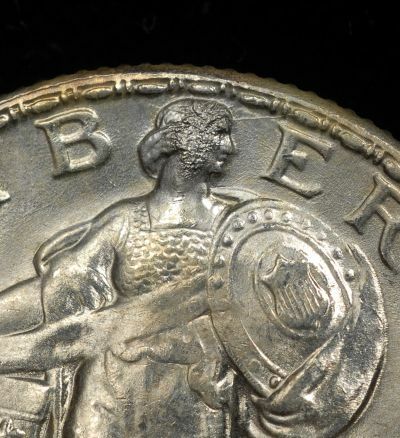 “Coin doctors” often apply numerous materials to the surfaces of coins to conceal problems with the coin, and/or alter the surfaces to improve its appearance in an attempt to artificially increase its value. The simultaneous alloy determination will further aid in the detection of counterfeits as an additional benefit. Additionally, Collectors Universe, Inc. (NASDAQ: CLCT), the parent company of PCGS, has filed a Federal Court suit in United States District Court, Central District of California, against several individuals claiming they engaged in a pattern of racketeering activity, breach of contract, conspiracy, unfair competition and fraud for allegedly submitting “doctored” coins to PCGS for grading on multiple occasions for a period of years. As many as 10 other defendants could be added to the Complaint. Collectors Universe is suing for triple damages as well as all profits made through these deceptive submissions.